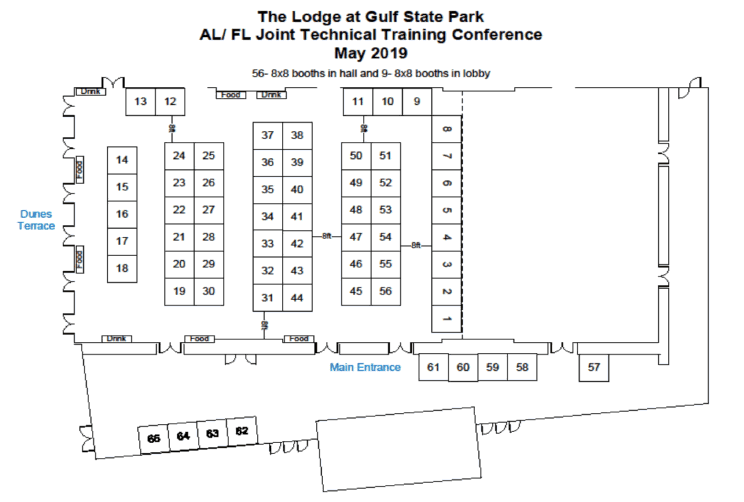 The Alabama/Florida Joint Technical Training Conference is fast approaching. 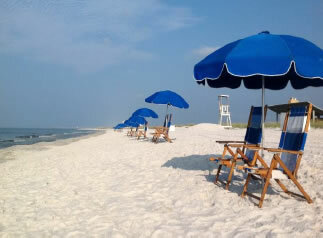 The 2019 Conference will be held at the “The Lodge” at Gulf State Park in Gulf Shores, AL,. May 28 - 30, 2019. We expect approximately 500 water and wastewater employees to attend. We hope that you can join us also. We have limited space for 65 exhibit booths. Each space will be 8’ X 8’ in size. A layout of the Exhibit Hall is printed below and in the flyer for your review. Exhibit Spaces 1-65 cost $450.00 for ARWA or FRWA Associate Members or $550.00 each for non-members. Make plans early to attend! If you would like to join us, please complete the Exhibit Registration Form indicating your first, second and third choices of booth locations. If all of your choices have been filled upon receipt, we will reserve the next closest booth available for you. For lodging accommodations, see the main conference page under Hotel Information. Exhibit registration includes: one 8’ X 8’ exhibit booth with 6’ table, clothed and skirted with 2 chairs, wastebasket, Standard 110v Electrical Service and access to all meal functions and technical sessions. Deadline for registration will be May 17, 2019. The AL/FL Joint Technical Conference would not be possible without the generous support of our sponsors. We would like to thank all the sponsors that made the conference possible.